A guitar made with first quality materials and through a completely handmade work. An instrument with a powerful sound, but at the same time extremely comfortable. 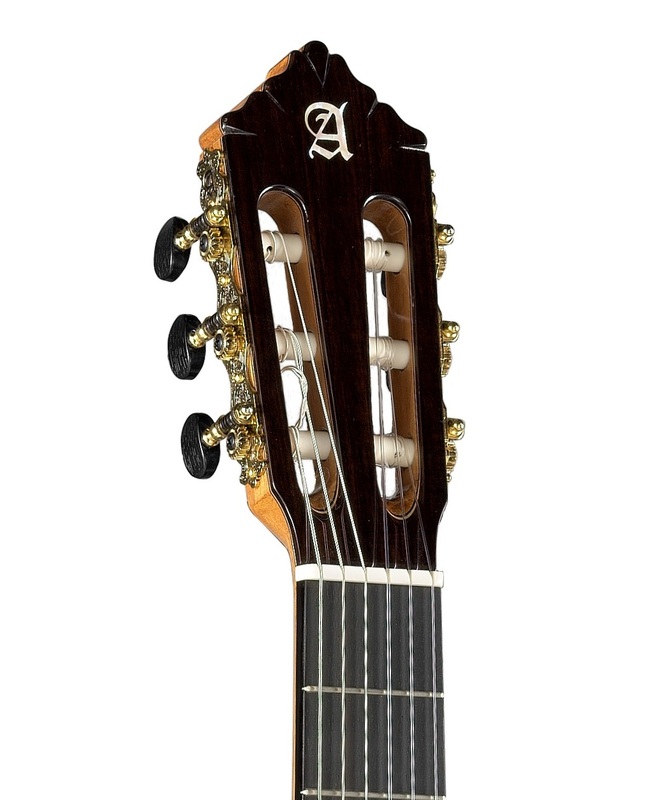 Holding in your hands the model 10 Fc of Alhambra Guitars means playing a guitar that gives the guitarist a lot of security and ability to interpret any composition. Guitarist who try out one of these guitars can sense immediately what well-made instruments they are. 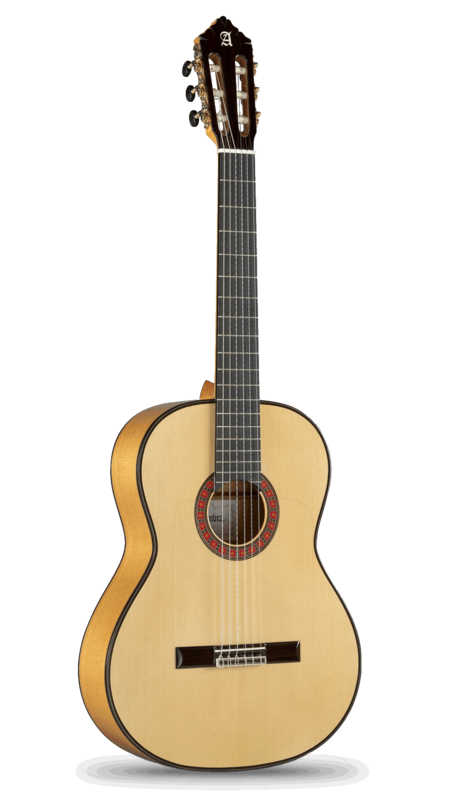 The craftsmanship of traditional artisans, along with the research and innovation experience gained by Alhambra Guitars over the years, are reflected in these magnificent instruments that are sure to delight even the most demanding player. 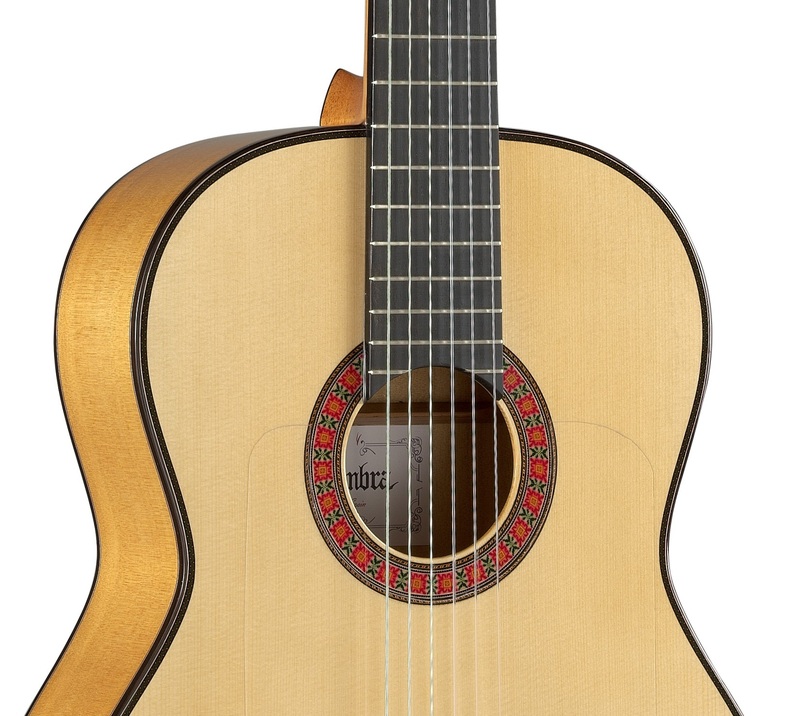 The model 10 Fc is an example, a white flamenco guitar with high performance, fully balanced, achieving a constant tone throughout the fingerboard and a good relationship between bass and treble. For the construction of flamenco guitar 10 Fc, a strict selection of woods is done. Solid Spanish cypress for sides and back and solid German Spruce for the top. 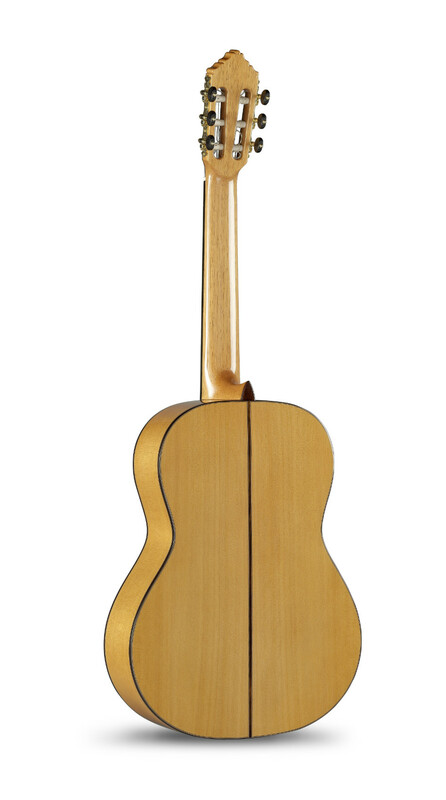 This guitar is made with ebony on the fingerboard, golden luxury tuners and ebony reinforcement on the cedar neck. Ebony reinforcement is exactly under the fingerboard, inside the neck. To see it you have to remove the nut. In addition, to contribute to the comfort of the instrument, the neck developed by Alhambra Guitars called Ergoneck has been used. An ergonomic neck that favors the grip and access to the fingerboard. Regarding the finish, the model 10 Fc has gloss finish. In particular, nitrocellulose lacquer varnish is used for the top. A finish which offers greater flexibility and therefore, greater capacity of vibration to the top. The model 10 Fc comes with two bone saddles, but with different height. In this way, each guitarist can modify the action of the strings by changing the saddle. The intention is to achieve a low action or something higher, but always being fully adapted to the characteristics of the guitar. In addition, this guitar is equipped with a tap plate to protect the top. Specifically, it comes with a standard one piece tap plate. 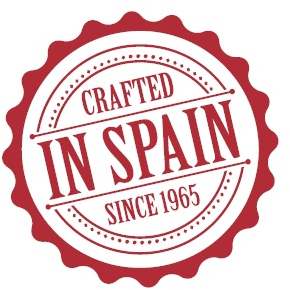 Regarding the type of strings used, the JG Flamenco Titanium strong tension strings, of Royal Classics brand, are installed.